Following a recent data breach report, Finland's data protection ombudsman said that he would investigate claims that Nokia-branded phones had sent information from users' handsets to China. While Nokia exited the mobile phone business to focus solely on networking, the Finnish firm's brand name lives on thanks to HMD Global which licensed it to produce a new range of Nokia devices running Android. 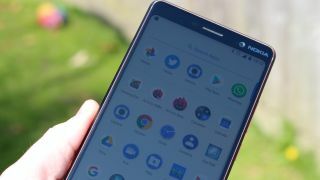 According to HMD Global, no personal data was shared with a third party although it did reveal that one batch of handsets had been experiencing a data software glitch which has now been fixed. News of the data breach was first reported by Norwegian public broadcaster NRK that said a Nokia 7 Plus smartphone built by HMD has been sending data to China. In its report, the broadcaster said that the company had “admitted that an unspecified number of Nokia 7 Plus phones had sent data to the Chinese server”. NRK first discovered that a possible data breach had taken place when a Nokia 7 Plus user contacted the broadcaster to inform them that his phone had been regularly sending data packages in an unencrypted format to an unknown server. Despite HMD's claims to the contrary, Ombudsman Reijo Aarnio will still be investigating to assess whether any personal information was disclosed in the breach. The latest Nokia-branded smartphones from HMD Global have received favorable reviews and if a data breach involving personal information did occur, it could have a significant impact on the brand's reputation.